If you use WordPress and often get frustrated because there is some color, font, spacing you just can’t fix through your theme, this is usually because it’s controlled by stylesheets, or better known as CSS. The thing is, CSS is code. There is no way around that. CSSHero makes it easy to edit your stylesheet without coding at all. Select the element you want to edit through their editor, then change the values available. 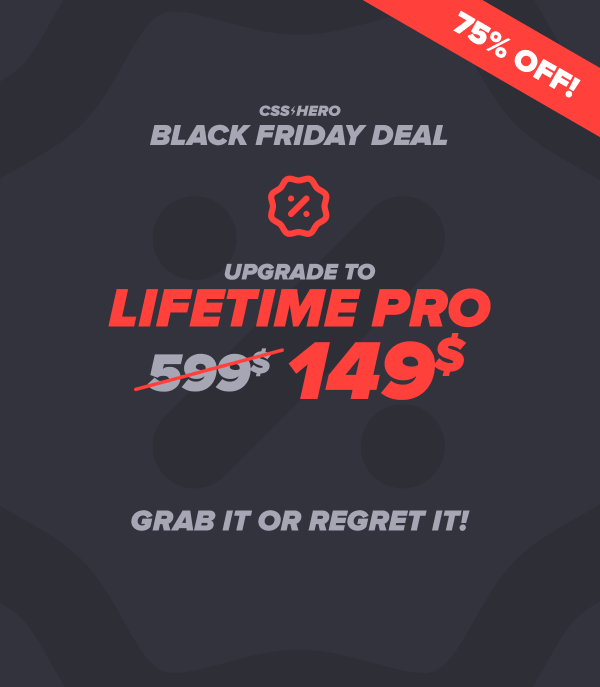 Right now, you can upgrade to Pro for lifetime – no recurring for only $149.